Showing results by narrator "Elaine Lui"
As the 800,000+ U.S. fans of Elaine Lui’s site know, her mother, aka The Squawking Chicken, is a huge factor in Elaine’s life. She pulls no punches, especially with her only child. "Where’s my money?" she asks every time she sees Elaine. "You’ll never be Miss Hong Kong," she informed her daughter when she was a girl. 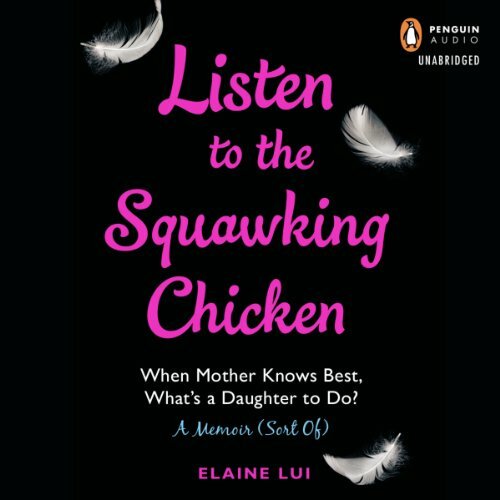 Listen to the Squawking Chicken lays bare the playbook of unusual advice, warnings, and unwavering love that has guided Elaine throughout her life.